This post was made possible by HP through compensation. The actual contents and opinions are the sole views of the author, who maintains editorial independence, even when a post is sponsored. For more details, please read our disclaimer. As most small business owners would know, printing plays is an integral role in the operation of a company. Whether they’re invoices, shipping labels, agreements, time-sheets, or receipts; they need to be printed on paper, even as we move into a digital world. HP, a leading company in the printing sphere, has an innovative new line of printers that use its PageWide technology, and they’re finally available! Today, we’re specifically looking at the PageWide Pro 577, a business-oriented multi-functional printer with specifications that impress. The HP PageWide Pro 577 will be available at your local reseller around April 15. Let’s kick this off by getting to know some the PageWide Pro 577 printer’s core features. First and foremost, the Pro 557 utilizes PageWide technology, which refers to the stationary printhead that spans the entire width of the page. In my opinion, this is the feature that sets the Pro 557 apart from any other business printer. Compared to regular inkjet printers, this PageWide printer is able to print faster, and at higher quality, thanks to its revolutionary stationary printhead. By reducing the need of a moving inkjet nozzle, PageWide printers are also more energy efficient. The PageWide Pro 577 is a $899 multifunction business printer. So in addition to printing, it can also scan, copy, and fax documents. As such, it’s not the size of a standard printer from your local office store. It weighs in at a beefy 48.8 pounds (something I discovered firsthand as I moved it around to take the photos you see in this review) and measures 18.4 by 20.9 by 16 inches, so you’ll want to place it on a solid surface. Speaking of size, the printer has a good-sized paper tray, capable of holding up to 550 sheets of paper in various sizes. For anyone seeking more, HP offers additional trays that can be attached to the printer. In a productive office environment, printing jobs need to be done quickly to avoid time wasted waiting around the communal office printer. There’s nothing worse than starting a print job from your desk, walking to the printer, and finding that it isn’t your turn in the queue. In the case of the HP PageWide Pro 577, the company promises speeds of up to 70 pages per minute (ppm). At higher quality, HP says you can expect 50 ppm. While I didn’t manage to get those numbers in my tests, I was incredibly impressed with what the printer achieved. I should note that HP’s times start when the first printed page hits the tray, and there’s a 6-second “first page out” interval between hitting ‘Print’ and receiving the print job. My tests were timed from the moment I clicked ‘Print’, as that’s we actually experience in the real world. Overall, HP’s PageWide technology isn’t all hype – it actually holds its own in real-world testing and the Pro 577 printer is certainly reinventing the rules of printing. If you’re looking to boost productivity in your business setting, investing in a reliable, fast printer might be a good start. The PageWide Pro 577 printer can be connected through a myriad of options: USB, Ethernet, Wi-Fi, and Wi-Fi Direct. 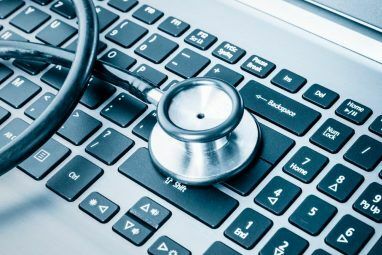 Once it’s integrated into your office network, you can start print jobs from anywhere: a connected computer, Google Cloud Print, mobile phones, Windows tablets, Chromebooks; you can even plug in a flash drive to start printing. While I’m not an IT professional, I’m certainly more computer savvy than your average person, but my one weakness has always been networking. When I was assigned a review of a wireless all-in-one business printer, I had visions of spending hours setting it up and getting everything to work. It took about 10 minutes to connect the Pro 577 to my home office network, and get everything else set up (installing print cartridges, etc.) – the entire process was rather painless. Also, I’ve had it hooked up for over a week, and nothing has gone wrong, meaning I didn’t have to flex my weak IT muscles in order to keep the printer working. As mentioned earlier, HP’s printers are designed to work with just about every wireless printing service out there. As an AirPrint-compatible printer, it works seamlessly with my iPhone. Aside from the initial setup, no fiddling around was required on the client side: just choose a document, click ‘Print’, and within seconds (eight, in this case), I had paper with ink on it waiting for me in the paper tray. To put it simply, it couldn’t be easier. In terms of cost, you should be able to squeeze roughly 3,500 pages from a regular black PageWide cartridge. High yield black cartridges are also available, which boosts printing capacity to 13,000 pages – these cartridges are available from $139.99. The print costs work out to about $0.01 per page just for ink. As a multi-functional printer, the Pro 577 is expected to be able to scan and copy documents with finesse. Not only does it support duplex ADF (automatic document feeder) scanning at 26 ipm (impressions per minute), the Pro 577 is also able to save the output to just about anywhere. 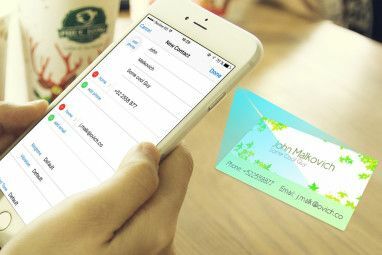 It’s most impressive feature is probably “scan to email” which automatically sends a copy of the document to the recipient, saving you the hassle of doing it manually. Other output options include saving scans on a network folder (a highly useful option; especially in a collaborative environment); on a USB flash drive; to a designated computer, which is my personal favorite – this goes through the HP app on your PC, and once set up, you can choose this option to scans documents right to your computer. It’s great because you don’t need to touch anything besides the printer to complete the scan process. It’ll just be waiting for you when you get there! All in all, the PageWide Pro 577 printer is really easy to use, which makes it a great choice for small businesses that don’t have the means to employ full-time IT staff to troubleshoot printing issues. As long as you’re moderately tech savvy (and able to follow directions), you’ll be able to use a combination of the slick touchscreen interface on the printer and the app on your computer to get everything going. In the office setting, printing confidential documents isn’t uncommon. These print jobs should ideally be handled delicately and in a secure fashion. Especially in a communal environment where the printer is shared, your confidential print jobs shouldn’t be treated like any other. The PageWide Pro 577 sports an innovative security option that’s probably the coolest feature you’ll ever find on a printer. It allows you to identify sensitive documents and assign a PIN code to the job. The data is held in the printer and is only accessible by physically requesting the print job at the printer, after entering the PIN code. Here’s how it works: choose Preferences from the Print dialog box, then select the tab labeled Job Storage. From there, select ‘Personal Job’ which indicates that printing will not commence until it is requested at the printer. Then adjust the settings in the drop down labeled ‘Make Job Secure’ and select ‘PIN to print’. When you walk to the printer, you tap print on the touchscreen, then click job storage. It’ll show you the jobs stored on the printer — click yours, and then enter the PIN to have the job print. This will make sure no one else can retrieve your printout, which could keep any precious information from slipping out. Another useful feature is ‘Proof and Hold’ which applies to multiple-copy jobs. Say, you needed to print 10 copies of a particular document. Proof and Hold will only print the first copy, allow you to verify the print quality, then if satisfactory, request the remaining copies to be printed. All in all, I love this printer. It has all the features you could ever want (and some you probably had no idea you wanted), especially for small business owners looking to get ahead. By not wasting time waiting for printouts, you’ll have more time to focus on the important aspects of your business. 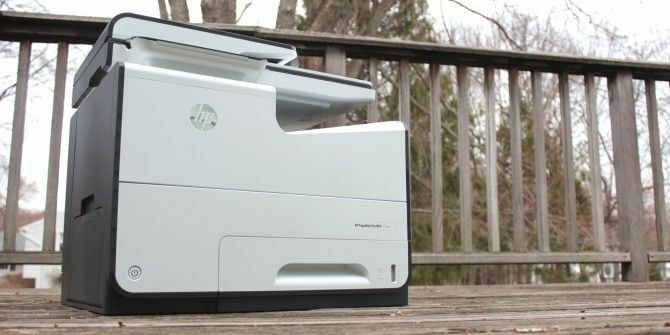 Coupled with the relatively low operation costs, the HP PageWide Pro 577 is probably the most worthwhile investment if you’re looking to reinvent your office. MakeUseOf Recommends: Buy it if you’re a small business owner or office printer who needs a business class printer. Explore more about: Printing, Scanner. Great printer have high hopes for it. I need a new printer, this one looks my new one! I love this printer! Thanks. great printer, want to have it. I guess the standard industry term, "full bleed," probably didn't make sense as a marketing term. Me need a pagewide printer in me life! HP has always been a hit and miss printer company. In between some truly horrible, defective garbage there has been one or two really great printers. If you choose an HP its always a good idea to do A LOT of research beforehand. The last two printers I owned were HPs, both quit working after just a couple of months. The first one quit taking up paper. The second quit working altogether. I couldn't even communicate with it. Neither of these was a cheap printer. They were in the $200 to $250 range. I now run a Brother and so far it's working like a champ.